Everybody needs a few linen pieces in their wardrobe. Not only is it one of the world's oldest fabrics (I'm talking 8000BC), it's super durable, loves to soak up colour and is revered for it's exceptional coolness and freshness in hot weather. Yes it gets a little wrinkly, but the fabric is strong, biodegradable and comes from a plant that requires less water and pesticide than cotton so it's more eco-friendly; bonus! This short post is about a cute little linen skirt that I made this summer. 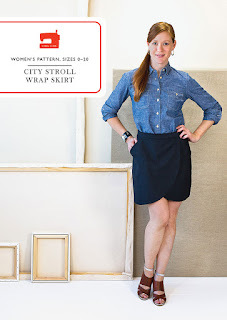 I used the City Stroll Wrap Skirt by Oliver + S and modified it to add a flounce. It's a simple wrap skirt that closes with a hidden button (see my changes below) and is finished with facings. The size of the pattern ranges from 0 to 20 and I cut the pattern in a size 6. I made this skirt using a white linen. The linen in this colour is a bit see-through so I should have lined it, but in a darker colour it would be fine. I shortened the skirt and made the waist band wider. 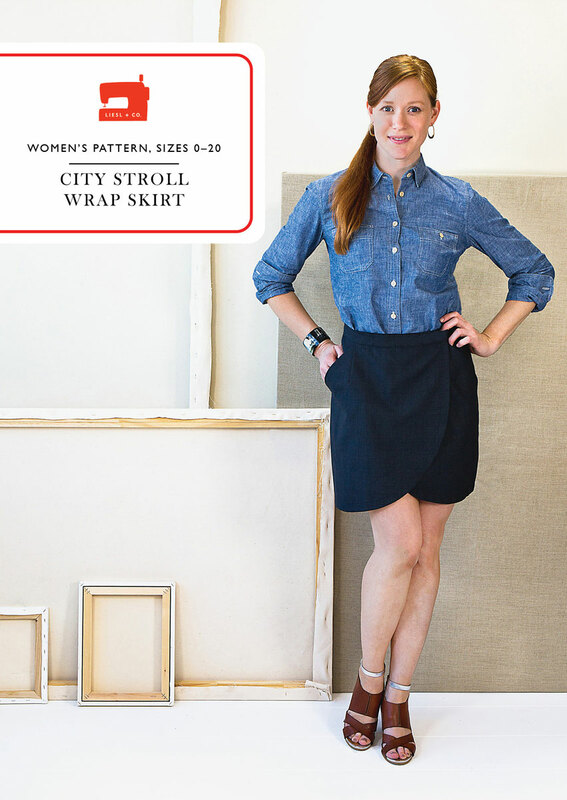 There is a handy line on the pattern to show you wear to lengthen or shorten the skirt. Spoiler, this skirt also looks amazing lengthened. Closed the skirt with a tie instead of a button. Next time I will make the tie long enough so that it wraps around to the front to close in a long bow. Removed the pockets to eliminate bulk and weight. 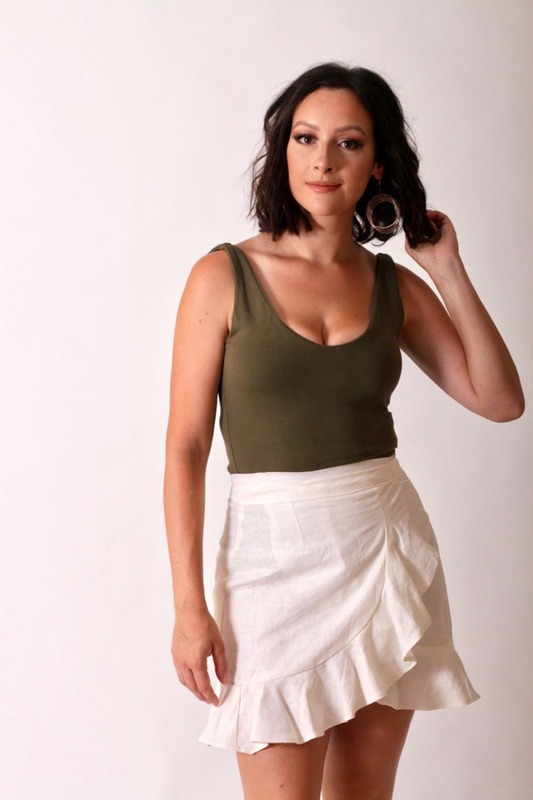 This skirt is fun, super comfortable and quick and easy to make. This skirt is successful as a wearable toile and I love the flirty touch the flounce adds to the style. Apart from it being a little see-through, I'm pleased with how it turned out. With any luck I'll fit in a few more wears before summer says goodbye to us here in the Southern Hemisphere. Linen is a seriously wonderful summer fabric. I had no idea it was that old, or that it was more environmentally friendly than cotton. That makes me want to sew with it more! Your skirt is so darn cute! I love that you added a flounce. It makes it that much more special.